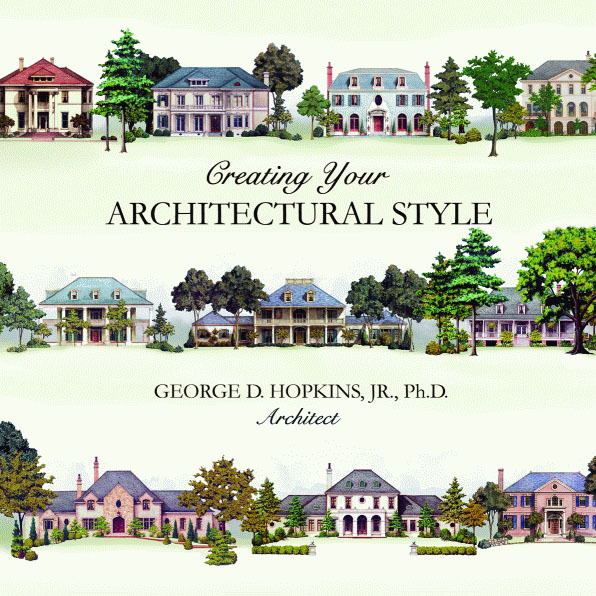 Creating Your Architectural Style by George D. Hopkins, Jr. is the ultimate resource to planning and designing your dream home. This beautifully photographed book guides readers from the initial concept to the finishing touches. From “Where do I begin?” to “What is the difference between Greek Revival and Dutch Colonial?”, the author explores the relationship between the architectural style and the floor plan of the home, as well as the roles and responsibility of the architect, engineer, interior designer, landscape architect, and general contractor. Filed Under: Architecture Books Tagged With: Architecture Books, George D. Hopkins Jr.